Our separate Men’s and Women’s “Open Solo” categories present the ultimate test of fitness and endurance. Riders traverse both sections of the course, with a bike switch encouraged at a transition point in the event village. Our Team Relay challenges teams of two to split the workload – one rider tackles the road course, handing off to a teammate that slays it on the trails. Our “Doubles” race challenges teams of two to work together over the entire on, and off-road, course. And for those who prefer to take their time, ride in a group, and take in the beautiful scenery of this mountainous region, our fully supported challenge ride facilitates a more leisurely pace with feed stations and mechanical support to ensure that nobody gets left behind. With categories for full-on racers, recreational riders, relay teams, and teams of 2, the 2019 Best of both offers riders of all age, gender, and experience an opportunity to participate in this unique cycling event. 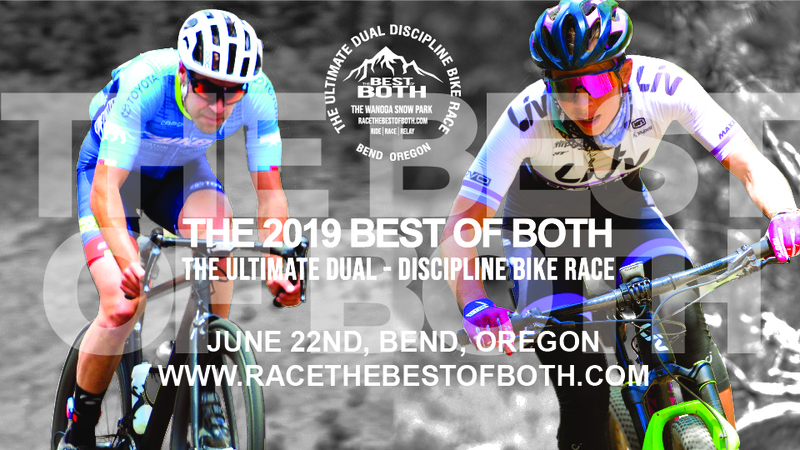 Join us on June 22nd at the Wanoga snowpark in Bend, as we bring the on and off-road bike riding communities together and ask the question .. Who’s the best of both?